I wholeheartedly believe that when playing music, it is important to make things as easy for yourself as possible. As a music teacher, it is incredible to see how a frustrating issue can be solved with a change in gear or setup. Over the years, I’ve found that the strings you put on an instrument are one of the most important factors in how it sounds. There is very little more rewarding than making one simple change and suddenly being able to achieve a sound you’d been practicing for. While some issues are based on technique, choosing the right strings for your guitar is an easy way to determine what is you and what is the instrument. Martin Guitar Classical guitar strings are an all-around winner, especially considering the price point. From the first note, I found them very well balanced, and I was impressed with the level of clarity. I noticed how well these strings produce harmonics which is very important for a classical guitar string. It is the sensitivity level of these strings at a lower cost that really sold me. They also stayed in tune incredibly well. Any string will stretch out and have some tuning issues when first strung, but these give me very few issues. They reliably held their pitch in between practice sessions after about a day. The normal tension version of this strings set (80/20 bronze – M260) was incredibly comfortable to play. They are a great all-around string with a lovely warm tone that would suit any beginner. Many newer guitar students often complain that they can’t practice as much as they would like because they have yet to build up the needed callouses. If that is a concern for you or an issue that you have, you should go with the normal tension. On the other hand, I really enjoyed the projection of the hard tension strings (silver plated – M160). These bold sounding strings really carry and would really suit those with a more rhythmic playing style. They are, however, more difficult to fret than the normal tension strings, but don’t let that worry you. They are far from uncomfortable. These strings are a great fit for more experienced players that have built up their hand strength. 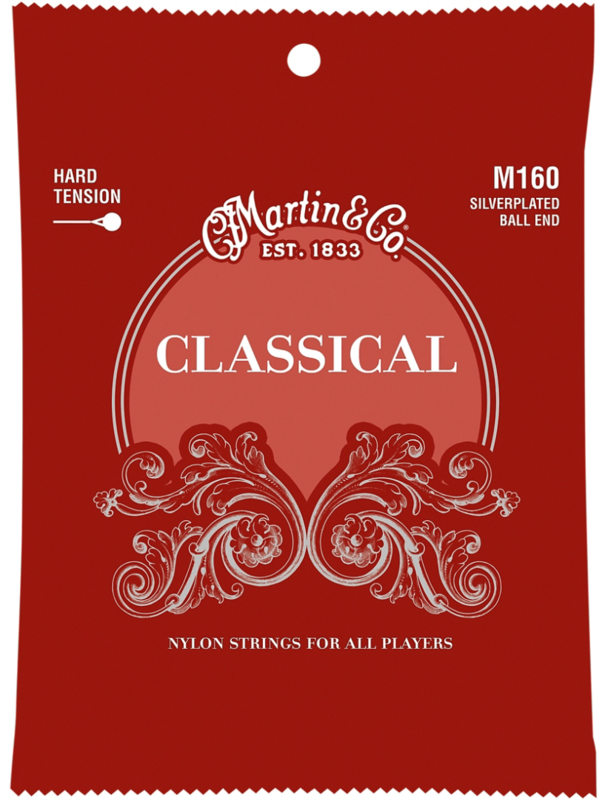 For the money, the Martin Classical Strings are top of the pack. 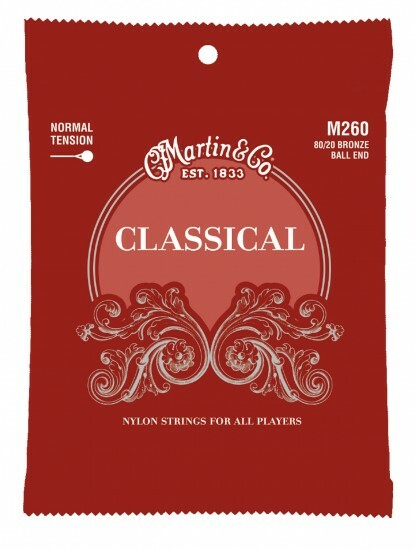 Unless you are the most discerning of classical guitarists, these are the strings for you. They really helped my guitar live up to its potential without the higher cost, and I’m sure they would do the same for yours.